I had the pleasure of working with Mark Preston while shopping for a new car. Mark was very professional and was able to help me find that perfect car, with all the features I desired and more! I arrived a little late in the evening and the process went to near close however; Mark and Sam were both patient and professional. I was able to drive off with my new car the same day. I would definitely recommend this dealership as I received Topnotch service from beginning to end! First of all, I just want to thank Mr. Jason and Mrs. Kenneice for helping me get the car that I liked for a good price. I gave them and the dealership 5 stars because they helped me through every thing. They told me everything about the car. They didn’t pressure me on purchasing something that’s over my budget. They helped me purchase a car that was on my budget. 100% would recommend them to everyone. Excellent sales people and dealership! My wife and I were very pleased with the entire process of trading cars with Jason Morton and INFINITI of Gwinnett. The internet price was a great value and the trade in was very fair. Jason was Friendly and very considerate of our time. I highly recommend this dealership. MARK Preston is and was amazing. He has great customer service. THIS DEALER is luck to have him as he is the best thing they have happening. Darryl was very attentive and courteous throughout the entire buying process treating both my wife and myself with the utmost respect. I would recommend him and this dealership. We’re here to provide you with tools that we hope will make buying a car easier. You can browse our inventory-new or used-get a quote, fill out a credit application, value your trade or make a service appointment. 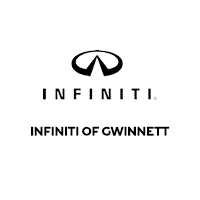 We’re INFINITI of Gwinnett, and we are here to serve you. Our large inventory and wide selection of models, along with competitive pricing, allow us to offer a great selection on the INFINITI of your choice. At INFINITI of Gwinnett, our goal is to assist you in making a confident decision. Our friendly, professional staff members are here to answer your questions and listen to your needs. Whether you’re shopping for a new or pre-owned vehicle, we’re here to help with your search. Our well-stocked inventory includes popular INFINITI models, including Q50, Q60, and the QX60. Wherever you live in the Atlanta area, or if you’re driving from Duluth, Norcross, Alpharetta or Buford, we’re ready to serve you. Commitment to customer care at INFINITI of Gwinnett doesn’t stop with your vehicle purchase. Our Duluth INFINITI Service Department is staffed with factory-trained technicians, ready to perform everything from regular maintenance to expert repairs. Work done quickly and correctly with excellent service is our goal with every vehicle, every time. Whether your car is the latest model or a few years old, an INFINITI or other brand, we can take care of it with service at competitive prices. We run special offers all the time and recommend you frequently visit our website to learn about them. Whether you come to us knowing the exact model and options you want with financing in hand, or haven’t made your choice and need help with the loan, we are prepared to work with you. At INFINITI of Gwinnett, our INFINITI Finance Department has access to loan and lease programs designed to fit within your budget. Perfect credit or rough around the edges, we will work hard to get you financed. We serve people throughout the Atlanta area, including Duluth, Norcross, Alpharetta and Buford. From buying to financing to maintenance, we’ve got you covered with friendly, courteous service, all at competitive prices. Be sure to contact us first for all of your INFINITI Dealerships Duluth questions. New and Used INFINITI Dealership Serving: Duluth, Atlanta, Norcross, Alpharetta, Buford, Suwanee, Tucker, Lilburn, Lawrenceville, Johns Creek, and Athens, GA.
View our Extensive Inventory of New and Used INFINITI Vehicles Including: INFINITI Q50, INFINITI Q60, INFINITI Q70L, INFINITI QX30, INFINITI QX50, INFINITI QX60, INFINITI QX70, and INFINITI QX80. A new car is where need meets desire. Anything that runs can get you from Point A to Point B. But you’re not just anyone and you don’t want just anything. That’s where we come in at INFINITI of Gwinnett. The expert sales staff at our Atlanta INFINITI dealership will help you pick the new car, truck or SUV with the options, and at the price, that make this vehicle right for you. Treating you with courtesy and ensuring your satisfaction are important to us at INFINITI of Gwinnett. With a large inventory and competitive prices we’re confident that we can meet your automotive needs and desires. We welcome the opportunity to add you to the long list of satisfied customers who’ve shopped at our Duluth, GA INFINITI dealer.